Leslie Scott was fiddling with her kid brother’s wooden toy blocks one day when she began stacking one on top of another. With no purpose in mind, the 17-year-old, who was living in Ghana at the time, continued stacking. And stacking. Nearly four decades later, the game she invented that day – Jenga – has become a family staple, with about 50 million units sold worldwide. The 54-block game centers around a simple concept: To remove and replace blocks until the tower collapses. 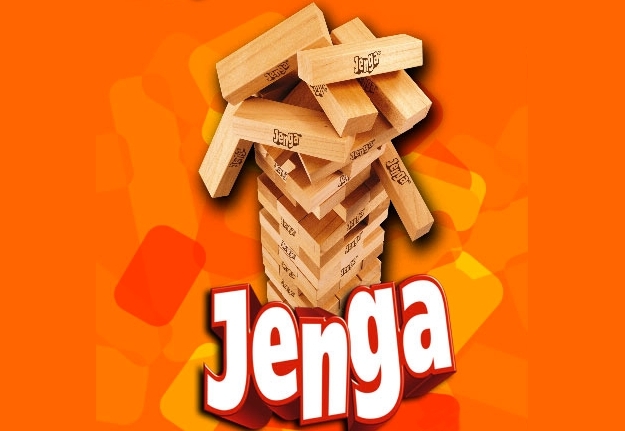 Why Jenga, which means “build” in Swahili, became such a hit still stumps Scott. “I guess people like simple solutions,” the 54-year-old recently said from her home in Oxford, England. Considerably less simple is the story of how Scott, a college dropout with just a few years of marketing experience, broke into an industry dominated by large toy corporations by the time she was 23. Like the shaky wooden tower game she designed, there were moments of uncertainty and pure luck. Her book About Jenga: The Remarkable Business of Creating a Game that Became a Household Name will be out next month.